Alex Freund, known as the Landing Expert, will present a FREE “Resume Tune-up and LinkedIn Workshop”, on Wednesday, September 18th, from 9:00 am – 1:00 pm, at the Parsippany-Troy Hills Public Library. Note the different times and format for this meeting! Plan on arriving early. The meeting will start at 9:00 am. The workshop will start promptly at 9:30 am and run to about 1:00 pm. In this special workshop, participants will learn about resume appearance, common resume mistakes, what constitutes an effective resume, the effective use of keywords, and many other pertinent tips for improving your resume. Alex will also discuss what constitutes an effective LinkedIn profile and share ideas to help you be found by recruiters. Alex Freund is prominent in a number of networking groups and writes a blog for job seekers. 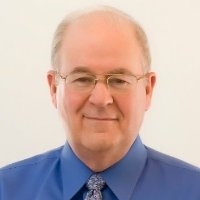 He had a successful career as a corporate director at Fortune 500 companies, and now provides practical training in career coaching via his Landing Expert Career Coaching services. He publishes his Landing Expert job-networking list on his website www.landingexpert.com. Check out his LinkedIn Profile and read his blogs at http://www.landingexpert.com/job-search-tips/.